Verity Health (CA) files for Chapter 11 in an effort to survive the health IT missteps of Patrick Soon-Shiong, MD who acquired the health system in July 2017. Tabula Rasa Healthcare acquires EHR vendor Mediture and its third-party administrative services subsidiary EClusive for $22 million. 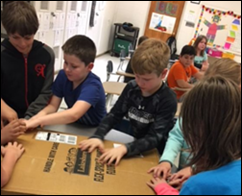 Readers funded the DonorsChoose teacher grant request of Ms. M in North Carolina, who asked for STEM craft materials related to the Winter Olympics and flexible floor seats. 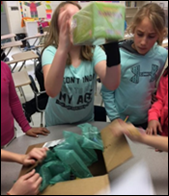 She says, "Students were excited when they opened the boxes and saw all the materials that our classroom received. They wanted to use the flexible seating right away. They also wanted to start on our Olympic projects right away and couldn’t wait until the next today to come to school. We have set up a rotation schedule for students to use the flexible seating. Our next step for using the materials is to create bobsleds that the students can race. We are always creating STEM projects in our classroom that connect to our math and science standards." Nestle attempts to pivot from a peddler of sugary treats to the frontrunner in nutritional wellness with its Wellness Ambassador program. 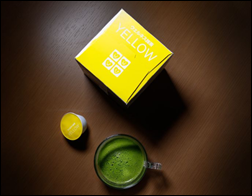 Initially rolled out in Japan, participants send pictures of their food via an app that then recommends special supplements and lifestyle adjustments. The program also offers a home DNA and blood testing kit to give users a more in-depth health and wellness workup. Campbell Soup made a similar move when it acquired Habit, a meal delivery service that combines DNA and blood profiles to make dietary recommendations. Road warriors beware: Scientists determine that luggage trays at airport security checkpoints harbor more cold viruses than do any other areas within the facility, including toilets. It’s a timely observation given the spate of news this week pertaining to flights with sick passengers. 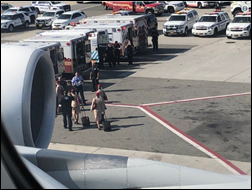 A New York-bound flight from Dubai was quarantined after 100 people on board complained of feeling ill. Public health officials tested all 549 people on board for MERS; none tested positive for the syndrome, though nearly a dozen were sent to the hospital with flu-like symptoms. CMS mistakenly sends Medicare termination letters to 38,000 Blue Cross and Blue Shield of Minnesota beneficiaries, blaming the mix up on bad data from the health plan. IBM is developing a drone that, when paired with a companion app, could monitor a user’s health data to determine if they’d benefit from a cup of coffee, which it would then deliver.